Unfortunate as it is, the situation facing Serbian literature is incredibly common for “small language” cultures: although a number of Serbian writers from the first half of the twentieth century have been translated into English and published throughout the world (like Danilo Kiš, Milorad Pavić, and Borislav Pekić), many of the best writers of the past couple decades have yet to find an international audience. Reasons for this are myriad, tied to economic issues, well-documented elsewhere, and somewhat depressing. 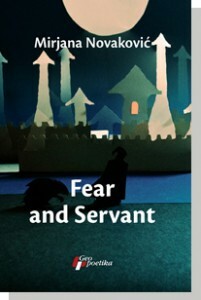 Rather than simply lament this situation — or offer up translation subsidies to brave publishers willing to take a chance on a book they probably haven’t read in the original — the Serbian Ministry of Culture and Serbian publisher Geopoetika took matters into their own hands and launched the Serbian Prose in Translation series. Thanks to the funding of the Serbian Ministry of Culture, Geopoetika is publishing English-language translations of five contemporary Serbian works every year. Instead of selling these and trying to break into the somewhat provincial English-language market, they are sending these books out to agents, publishers, and reviewers throughout the world in hopes of finding publishing houses interested in acquiring foreign rights. This strategy circumvents certain obstacles, namely the lament that very few editors read Serbian. Which is one reason why Geopoetika was careful to get high quality translators (including Alice Copple-Tošić, and Randall Major), and to translate the complete work instead of just a short sample. and Adulterers by Vida Ognjenović, which is one woman’s story of uncovering her identity after her husband has an affair. According to Bajac, these titles are under consideration by a number of publishers around the world, with Lake Como now available in Bulgarian, and Hamam Balkania scheduled for publication in Turkey. 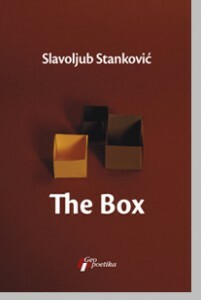 A movie version of one of the forthcoming titles — The Box by Stanković (more below) — is already being filmed by a German-Serbian production team. 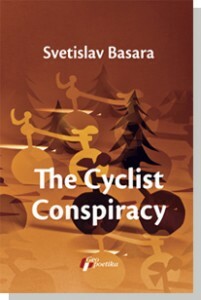 As a result, there is a lot of interest from German publishers in this title. novel about an elderly man and his younger companion and the opportunities they missed during the last part of the twentieth-century as Yugoslavia went through a series of monumental changes. Destiny Annotated by Radoslav Petković is a work of postmodern historiographic metafiction that uses pastiche, parody, and humor to relate historical events taking place between the time of Napoleon and the Balkan Wars. Another historical novel, Constantine’s Crossing by Dejan Stojiljković centers around vampires in Nis and the clash of ideologies in Serbia during World War Two. Constantine’s Crossing was shortlisted for the NIN award in 2009. Kaja, Belgrade and the Good American by Mirjana Djurdjević takes place between the two World Wars in a very cosmopolitan Belgrade where the first Buddhist pagoda in Europe was built. The story of a woman writer, a girl named Kaja, and the American consul, this novel won both the “Zensko pero” and Mesa Selimović awards in 2009.